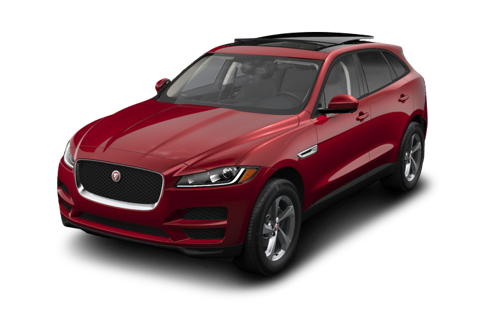 When you are looking for Jaguar SUVs for sale near Mississauga you are looking for the best, and here at Jaguar Toronto we are that best you are looking for. We are the experts on everything Jaguar, and we want to help you find the ride of your dreams as easily and stress free as possible. Our goal with every customer who comes and sees us is to give you an experience that is on par with the one you will eventually experience in the Jaguar you end up purchasing. It is a high bar, but we plan to do everything in our power to reach it. A lot of dealerships believe that they are doing things differently, or changing the game for their customers, but none, we’d wager, have the dedication to luxury on the showroom floor that we exhibit everyday . Our team want to work with you to find the perfect vehicle to fit your lifestyle. You deserve to have exactly what you need from your dealership, and we aim to deliver it to you. So when you are ready to get started finding the perfect new vehicle come and see us at 777 Dundas St E. Toronto, or you can give us a call at (416) 530-1880 to book an appointment. We’re proud to provide a dealership experience that exceeds all expectations. While your Jaguar vehicle is under our care, feel free to visit one of our five on-site cafes. Discover if your Jaguar is “the one” with at-home test drives. When it comes time to pick your Jaguar SUV you want options. You have a specific set of needs for your life, and if we can’t meet them with our current inventory then we have missed an opportunity. 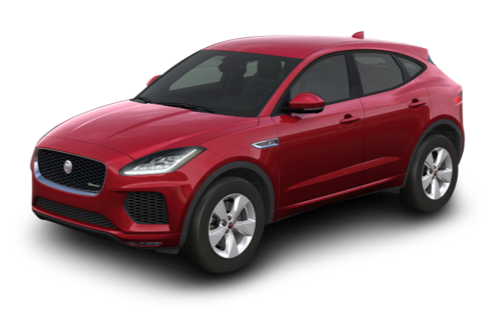 Fortunately, we have one of the largest inventories of Jaguar SUVs in the area, and we also have the knowledge, know-how, and customer service needed to guide you through them to find the perfect vehicle for you. Come and see us today to get started! The best way to keep your vehicle going, even something as sophisticated as the Jaguar, is with regular service appointments at a certified service centre. The Jaguar is a complicated piece of machinery, and in addition to regular oil changes and other preventative maintenance, our technicians are trained to diagnose and repair any problems that your vehicle may run into. Don’t trust just anyone with your pride and joy, come and see the experts that know it best. We know that the call to get under the hood and really make this machine masterpiece your very own can be challenging to resist. After all, most of us ended up working where we do because of a very similar desire. All we recommend is that you only use genuine OEM parts which we sell right here at the dealership, just to be safe. No matter what your project, repair, or replacement is we have the parts and the know-how to do it right. If you need it we are here to help you find whatever you need to take your vehicle to the next level! Getting a Jaguar is a monumental life moment. No matter your walk of life a Jaguar is an investment of time, capital, and effort. We want your experience buying one to be positive and memorable from start to finish. With a team who are dedicated to bringing the high standards of the Jaguar brand into every one of our interactions all the way to a selection that puts any others in town to absolute shame, we are the place to come and take that next step forward and roll away with your Jaguar under your feet and a smile on your face. There’s something inherently special about Jaguar vehicles. An air of prestige, the promise of superior performance, and of course, a sense of opulent luxury that allows you to experience the open road the way it was meant to be driven. At Jaguar Toronto, we are exceptionally proud to match these incredible vehicles with incredible customers in the Toronto area. We aim to create a sophisticated and unforgettable shopping experience for everyone who steps through our doors. You’ll be treated to next-level services like valet parking and a completely personalized purchasing process. Enjoy one of our five on-site cafes as you browse our well-appointed inventory. As part of the Grand Touring Automobiles Group of Companies, you can depend on receiving the kind of world-class service that befits this prestigious brand when you choose to work with Jaguar Toronto. Visit our dealership located at 777 Dundas Street E in Toronto, ON, or feel free to call us at 416-530-1880. Better driving moments are waiting to be discovered.